For nearly 30 years, Steve Humphrey served as Executive Director of the National Canal Museum and Hugh Moore Historical Park. During the D&L’s formative years, Steve was there! Now retired to eastern Virginia from the National Clock & Watch Museum, Steve recounted the D&L’s early history. I first became acquainted with the Lehigh and Delaware Canals when I was appointed executive director of the Hugh Moore Park and Canal Museum in October 1974 by City of Easton Mayor Fred Ashton. My early years with the Hugh Moore Park were focused on restoration of the canal and the development of park amenities such as bike paths, pavilions, and playgrounds. After these activities, the development of the mule-drawn canal boat and expansion of the museum became priorities. Like Easton, other municipalities along the Lehigh River purchased the former lands of the Lehigh Coal and Navigation Company when they were sold off in the 1950s and 60s. During this time I became acquainted with Dr. Isidore (Bill) Mineo, who was director of Northampton County Parks. Bill Mineo was involved in not only Northampton County Parks but also regional recreational planning. In the 1970s park grants and technical advice were available through the Pennsylvania Department of Community Affairs (DCA) and the DCA regional recreation and park supervisor for our area was C. Allen Sachse. Through the impetus of Bill Mineo, Allen Sachse, and others, a project was put together to do a Heritage Conservation and Recreation Service (HCRS) study of the Lehigh Canal. A team headed by Dr. T. Allan Comp spent the summer of 1979 studying the Lehigh Canal and adjacent historically significant sites. The team consisted of 10 student and professional historians, architects, archaeologists and planners. They studied the recreation and rehabilitation potential of the 150-year-old Lehigh Canal, its environs, and selected structures along its banks. The team was tasked to develop recommendations regarding the canal study area as a cultural recreation trail and suggest ways for accomplishing that goal. This was the first time that the canal was looked at as a regional resource spanning the 46 miles from Jim Thorpe to Easton. This report was later key in showing the historical significance of the Lehigh Canal during the early stages of proposed legislation for the Delaware and Lehigh National Heritage Corridor. The Delaware Canal parallels the Delaware River sixty miles from Easton to Bristol and operated until 1932. Almost a decade later the canal was acquired by the Commonwealth of Pennsylvania as a State Park through the efforts of the Delaware Valley Protective Association, an early preservation group in Bucks County. The state maintained the canal as the Theodore Roosevelt State Park, with the towpath serving as a trail with picnic areas along the way. The park struggled to maintain the canal in a watered condition due to deteriorated structures, flooding and lack of funding. The Delaware Canal was listed on the National Register of Historic Places in 1974 and designated as a National Historic Landmark in 1978. Due to public concern for the canal, a new preservation group, the Friends of the Delaware Canal was formed in 1982, spearheaded by Betty Orlemann. Through the efforts of the Friends and supportive state legislators in Bucks County, funds were acquired in 1986 to do a master plan for the Delaware Canal. An RFP was issued and a contract was awarded to a team consisting of two firms, Urban Research and Development (URDC) of Bethlehem, PA headed by David H. Humphrey (no relation to me), and Hugh Moore Historical Park and Museums (HMHPM) headed by me, J. Steven Humphrey. The plan required a year of research, public meetings, gathering input from the State, Friends and other partners and finally developing options and priorities. Just before finalizing publication of the master plan, I received a newsletter from the recently created Illinois and Michigan Canal National Heritage Corridor. This was the first national heritage corridor to be created and the concept seemed ideal to help meet some of the goals in the master plan. 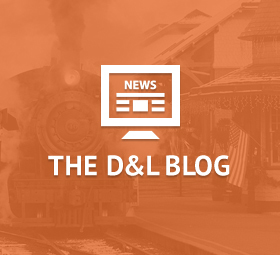 To insure a broader significance and the chance for bi-partisan support, I inserted a recommendation for a National Delaware and Lehigh Canal Corridor spanning the historic anthracite coal route from Wilkes-Barre to Bristol. When the master plan was issued in July of 1987, this recommendation for a potential recreation corridor was explained on pages 34-35 of the plan and page 30 of the plan summary. Another recommendation was to rename the park, Delaware Canal State Park which was implemented after adoption of the plan. In late 1987 or early 1988, Congressman Peter Kostmayer proposed a Delaware Canal National Heritage Corridor after reviewing the Delaware Canal Master Plan. Upon learning of his proposal, I contacted his office and briefed them on the recommendation for a Delaware and Lehigh Canal National Heritage Corridor. I informed the Congressman and his staff, that the two canals together would provide greater historical and cultural significance, and by enlisting Congressman Don Ritter from the Lehigh Valley it would become a bipartisan proposal. After consideration, Congressman Kostmayer, D-8th District, contacted Congressman Ritter’s, R-15th District, office and the two Congressman cosponsored legislation that was introduced on February 17, 1988 to create a National Heritage Corridor along the route of the Lehigh and Delaware Canals. Both Congressman were thought to be in tight races for reelection in 1988 and both political parties went out of their way to help their candidates. This caused the Corridor legislation to be fast tracked and allowed it make it through Congress before the November election. After the bill was introduced, a hearing was held in Yardley, PA on April 11, 1988 followed later by a hearing in Washington, DC. As with many new ideas in Washington, the idea of heritage areas had opposition. The Office of Management and Budget raised the issue of whether the area had national significance. Congressman Ritter contacted Secretary of the Interior Donald P. Hodel who was a friend and arranged for him to tour the proposed corridor. Lance Metz, historian for the Canal Museum, prepared a program that featured excerpts from “Iron Bridge”, a BBC and PBS Nova presentation comparing the Lehigh River valley with the Severn River valley in England as birthplaces of the respective countries industrial revolutions. He also briefed the Secretary on other aspects of historical and cultural significance in the Delaware and Lehigh Valleys. Afterward we traveled to Center Valley where Congressman Ritter had arranged for a donated helicopter to give the Secretary an aerial overview of the proposed corridor. The Secretary, Congressman Ritter and I spent time flying the proposed corridor pointing out areas of significance. After the Secretary’s visit, the question of significance was never again raised. On Aug. 9, 1988, the US House unanimously approved legislation to create a National Heritage Corridor along the Delaware and Lehigh Canals. In an attempt to meet various objections, a revised bill was considered and passed by the House on Sept. 13. The bill was considered and passed by the Senate with amendments on Oct. 14. The House concurred on certain Senate amendments and disagreed to another on Oct. 19. The Senate receded from its amendment on Oct. 20 allowing the bill to be forwarded to the President. President Reagan, who was nearing the end of his second term, signed the bill on November 18, 1988 enacting the D&L Heritage Corridor act, Public Law 100-692. The heritage corridor bill took nine months from introduction until enactment into law, an almost unheard of accomplishment. A 21-member Federal commission was authorized to oversee the implementation of the legislation. The commission had the following representatives: the Director of the National Park service, one representative each from the Pennsylvania Department of Environmental Resources, the Historical and Museum Commission, the Department of Commerce/Economic Development Partnership and the Department of Community Affairs, eight representatives from local government and eight private citizens. The work of appointing the twenty-one member Commission turned out to be much more difficult than the legislation as recommendations had to be made by the Democratic Governor and approved by the Republican appointed Secretary of the Interior with political input from many levels of government. Prior to the appointment of the Commission, the National Park Service’s (NPS) planning staff worked on our initial setup and organized meetings. The Commission met for the first time in April 1990 at Lehigh University to start its work. Willis M. Rivinus served as the first chair of the Commission followed by Donald Miles Bernhard. I served as treasurer for the Commission for 17 years. 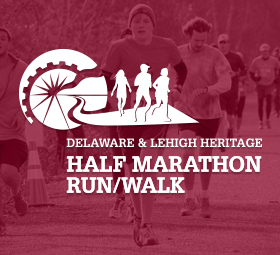 Work began on the management action plan for the Delaware & Lehigh Canal National Heritage Corridor and State Heritage Park which was completed in January 1993 after almost three years of work involving hundreds of people and organizations. Along with the NPS planning staff, a consultant team was retained headed by Mary Means & Associates. Funding initially was an annual Federal appropriation of $350,000 and an additional $150,000 from the Pennsylvania Heritage Parks Program. C. Allen Sachse from the PA Department of Community Affairs served as interim director during the startup of the corridor until David B. Witwer was hired as the first executive director in March 1991. Executive director David Witwer and secretary Migdalia (Millie) Alvarez, were hired through the Federal personnel system. Interpretive specialist Sue Pridemore was detailed to the Commission from the NPS through a cooperative agreement. Several years later when David Witwer departed, it became evident that it was almost impossible to hire an executive director through the Federal personnel system who would be able fulfill the qualifications approved by the Commission. After looking at various alternatives, it was decided to implement a cooperative agreement with the Hugh Moore Historical Park and Museums to provide personnel to the Corridor Commission. Starting in 1996, all heritage corridor staff were HMHPM employees until the Federal Commission was replaced by the current non-profit corporation. The first executive director hired under this arrangement was Gerald Bastoni who served until his untimely death in 1998. 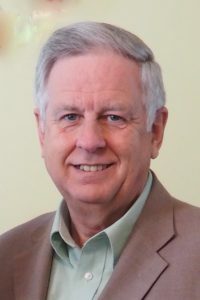 C. Allen Sachse was hired as Executive Director in 1999 and continued after the transition to a non-profit as President and served until 2012 when Elissa Garofalo was appointed as President and Executive Director. Federal, State and other funds, untold hours of staff time donated from corridor organizations, individual volunteer hours, and a dedicated staff have provided the fuel to develop and sustain the heritage corridor. The resulting recreational, cultural and economic impacts in the five county area are truly amazing. 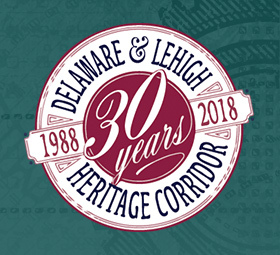 To see the outcome of what started as a mention in the Delaware Canal Master Plan in 1987 to what the D&L Heritage Corridor has become today is a great source of pride to me and I appreciate the opportunity to have been actively involved from its beginning through 2007. I have also been heartened by the merger of the Corridor with the Hugh Moore Historical Park and Museums and its National Canal Museum where I served as executive director for 29 years. One of the greatest privileges of my involvement has been the chance to work with people like Lance Metz, Charlie Derr, Bill Yoder, Don Bernhardt, Allen Sachse, Bill Mineo, Will Rivinus, Betty Orlemann, Carole Wildoner-Walbert, Ann Bartholomew, Kathleen Hammerstone, Roberta Longenbach, Kurt Zwikl, Bill Mitchell, Annie Sanders, Gerry Bastoni, Charlie Petrillo, Dennis DeMara, Larry Williamson, Ray Angeli, Joe DiBello, Deidre Gibson, and countless others.